A selection of crazy Halloween characters to shade in and assemble as nifty bookmarks. Ideal to use in the classroom as a Halloween craft activity. 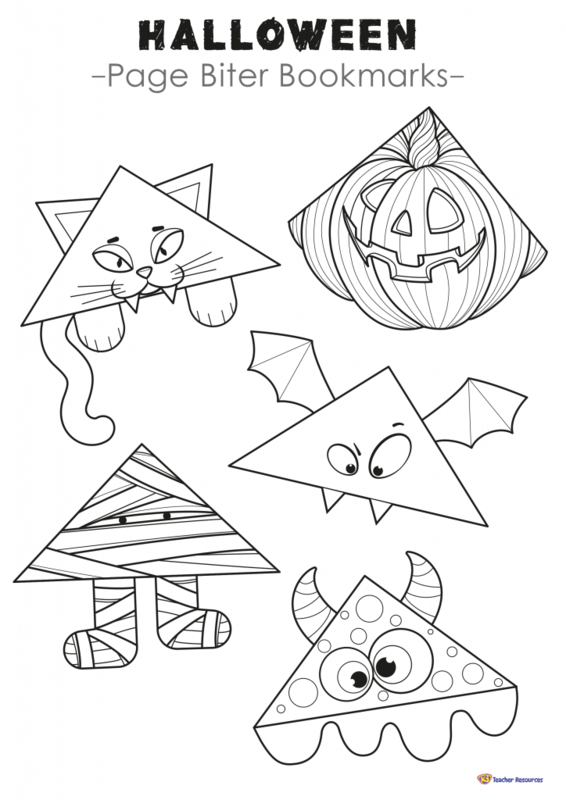 Provide the children with a Halloween Page Biter Bookmark. (Children could choose their preferred character). Ask the children to shade in their character and any extra attachments (ears, wings etc). Ask the children to carefully cut around the outer edge of their character and fold where indicated. Ensure the folds are done in the correct order. If using the extra attachments, ask the children to cut around these and stick in the appropriate places. The completed bookmarks slip over the corner of a page.